The Freedom To Move while we still can train our body and bones. If not now, when?Hey, how is your workout going on? Do you still maintain the 3 times a week exercise routine? Well since last year I pledge to Keep Moving & Keep a Healthy Lifestyle. There is nothing more important than health and I am glad that I have the AnleneMove mobile app to monitor my workout sessions plus my calcium consumptions. I still continue with my regular workout session at least 3 times a week although I have completed my 21-Day Habit Forming Challenge. The more we exercise, our body will become fitter, healthier and stronger. The freedom to move starts with strong bones. The more we exercise, our body and bones will become stronger. There is no short cut, if you want that fit and healthy body you got to work for it . When you do it so often it will become part of your life. So make exercise part of your life routine. The AnleneMove mobile app allows me to set my own fitness goal according to my pace and fitness level. And I can also changed when I am ready to go for a higher challenge or different types of exercise. Now, I set my goal to do Yoga 30 minutes for at least 3 times a week either at home or outdoor. Well, everyday we faced lots of stress from everywhere and I feel that I am happier, energetic and more rational after I exercise. Need to sweat it out. Besides exercise, we also need to fuel our body with sufficient calcium and nutrients. Here are my sources of calcium. Anlene formulated high-calcium milk with BoneMax and contains FOS-inulin, calcium, vitamin D, magnesium, protein and zinc for optimal bone health. Love it Anlene Concentrate after my workout and its so convenient. I like the Anlene Concentrate it is so convenient and comes with 4x more calcium compared to regular fresh milk. Both the vanilla and chocolate flavours are fantastic. You also can incorporate these products in our daily cooking and also be creative to use the Anlene Chocolate milk to make banana chocolate smoothies, overnight oats and etc. 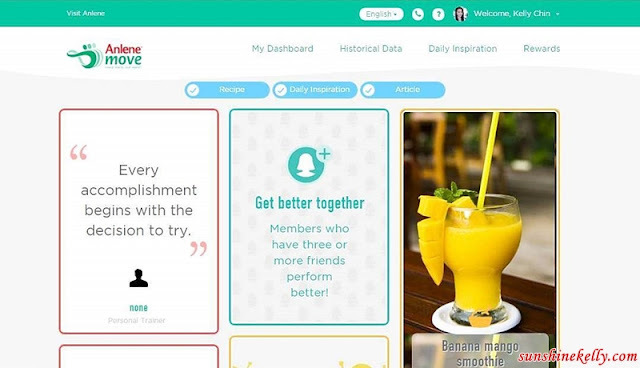 The AnleneMove App also shares daily inspirations, recipe and article. It kind of motivation for us to keep going and don’t give up. I like some of their recipes. Here are some of the quick and healthy breakfast that I used to prepare at home. 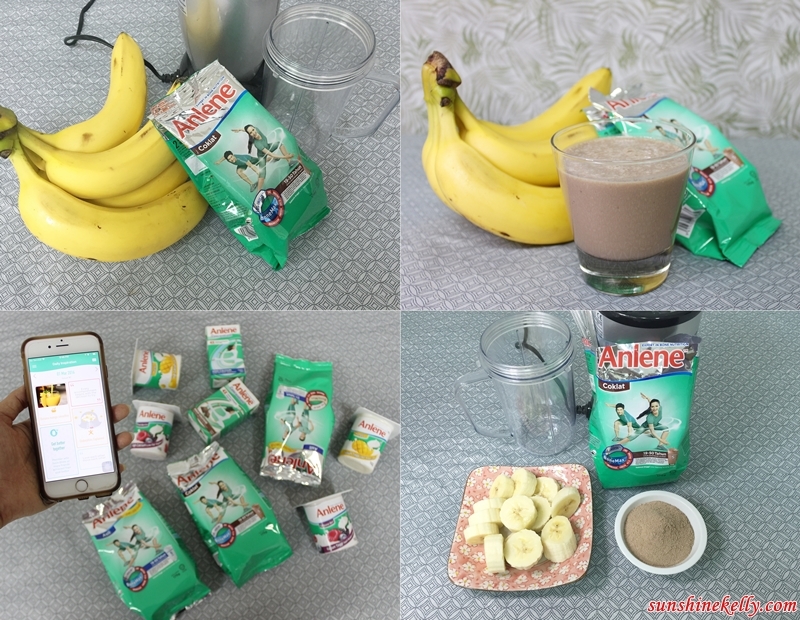 The chocolate banana moothies just take less than 10 minutes to prepare by using the Anlene Chocolate and banana. Anlene mango yogurt with matcha granola, chia seed, wolfberry, almond, cashew nuts. I like this quickie in the morning and sometimes I serve this as dessert at home, no cakes or sweet stuff. Oats and Anlene Milk with canberries, cawhew nuts and almond is great for breakfast or any time of the day. There are many ways you can use milk in your daily diet and also cooking. Some use the milk powder to bake bread, cakes and cookies. Everytime when you have completed your exercise routine you can go to Anlene App to login your Move goal. Plus you also can login your Anlene consumption goals. 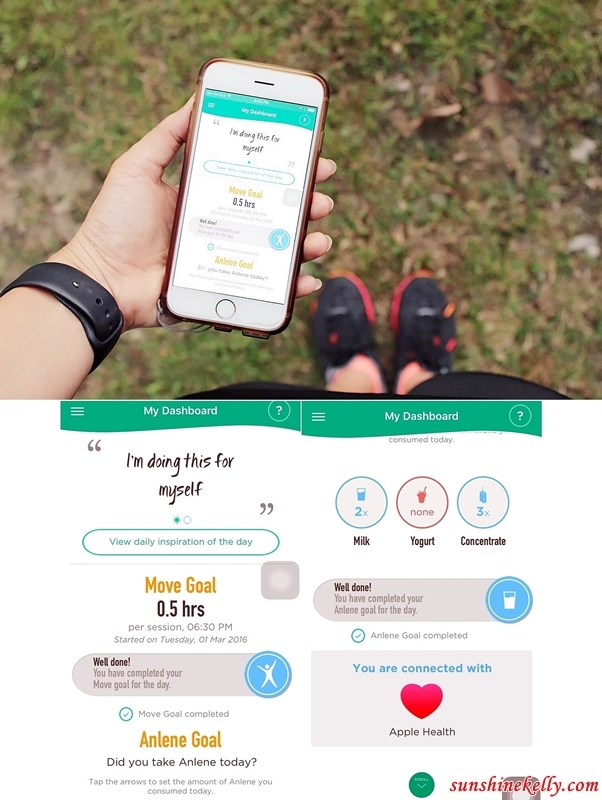 The app will generate our weekly fitness goal achievements. This app can facilitate our fitness routine and goals. I hope you will keep up with your fitness goals and also eat healthy. It's time to move your body and get fitter. Since we are still have the ability and mobility to exercise we have to start building our body resistance and also our bones. Remember the freedom to move starts with strong bones. Aww wow the healthy life! Great to know that you have completed your 21 days challenge! I believe with anlenemove it's easier to get motivated and stay determined. I should really get back on the mat, but oh my gawd I run out of energy just by taking care of my boy, lol. Breakfast meals looks delish! Way to go, dear! Keep moving for a stronger you. It's good to take care our body before it's too late. 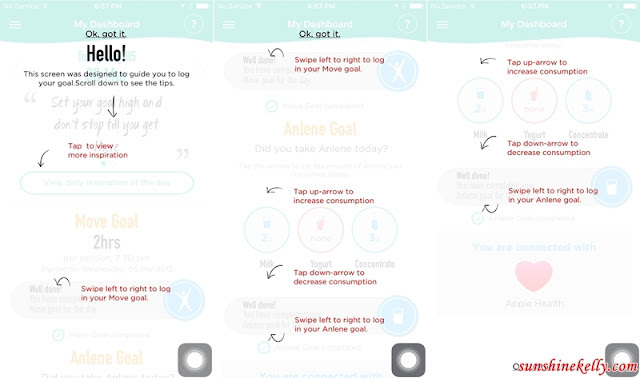 good to have this app to keep reminding us for a healthy lifestyle ;D drink more Anlene! wow nice to learn there is such app to monitor my diet and also activity! really love your quickie - they look so healthy and delicious! Fitness app from Anlene? That's really cool. Btw, my whole family consume Anlene. The first thing that crosses our minds when it comes to healthy bones is Anlene. wa so healthy! Its good for us to exercise and consume milk for protein and other Vit. Yes, a healthy lifestyle start with exercise and also drink Anlene. Keep it up as you really look good . Wow!Anlene is a great brand and didn't know they have fitness app too. Saw quite number of bloggers blog about this app. I will give it a shot :) I love Anlene product, too! Cheers to Anlene for this apps! I guess with the apps we will have motivation to go for a healthy lifestyle! Yummy! 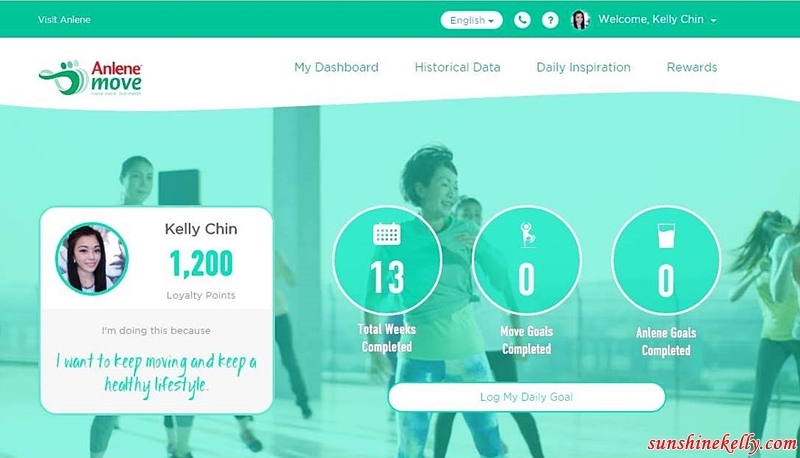 Anlene is really very innovative to startup this app and encourage people to be more fit and active. I am not sure if we have Anlene mobile app here in PHL. Its a great fitness app and Anlene is a healthy drink. It pays to nurture the idea of a healthy lifestyle in every form. I concur to it! Will definitely love to try out Anlene, doubt if it's available here in Lagos but then it's all good still...Do keep it up!! Cheers to be being more fit, stronger, and healthier! Anlene is a huge brand here and one of the most trusted milk brands as well. I have a similar app that tracks my exercise. Congratz to you for completing this 21 days challenge..yup it's really helpful to have such a great apps to maintain our health. It's good to know that Anlene Move has a mobile app. I better get started with my own health program, too. This is a good healthy challenge! I hope it won't be just 21 days for you but continue to do so from now on! Keep fit, keep healthy! Great pictures! Staying healthy is a lifestyle. Our habits need to coincide with our health goals. That's an awesome app. Keep it up! 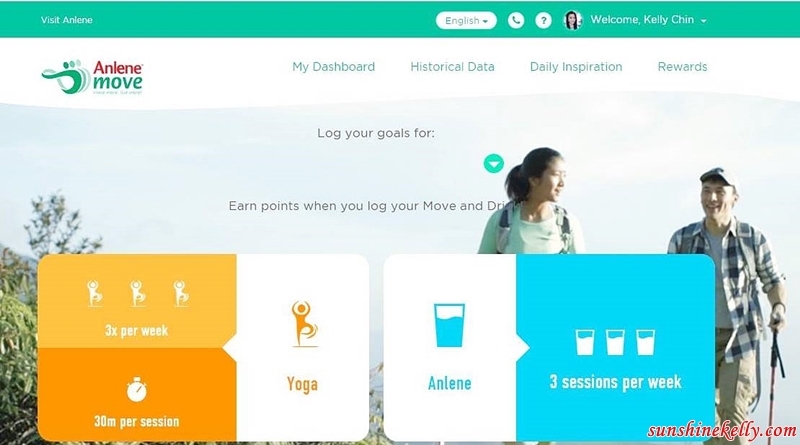 That's pretty awesome, I didn't know Anlene had a fitness app to help you with switching to a healthier lifestyle. I like the fact that it has a daily inspiration for you. That definitely helps! Aside from being feet, Anlene can really give you stronger bones. This can really complement your active lifestyle. I also like drinking milk, but admittedly exercise is not yet part of my life now. I should really take this weight issue seriously now because for the first time in my life, I feel literally heavy! The food looks incredibly healthy and the app looks good. Thanks for the review. I completely agree that there is no short cut for getting the body that you want, whether to be fit and healthy or too look amazing. Hard work pays off! Just the motivation I need to kickstart my "get fit" goals. Thanks for sharing!!! An active lifestyle is indeed important for our health! :) keep inspiring others out there to move as well babe! This is truely a wonderful set! I want something like this. I use S Health.